The world-famous Emerald Buddha is housed in The Temple of The Emerald Buddha (Wat Phra Keo) on the grounds of the Grand Palace in Bangkok, Thailand. This statue is an historic, extensively documented, and highly revered icon of Buddhism. Mindful of this context, Jeffery Bergman of PrimaGem in Bangkok (a longtime IGS member) and gem carver Aung Nyein have created an entirely new “Sacred Emerald Buddha.” This work was not intended to compete with or lessen the spiritual importance or historic value of the Emerald Buddha. 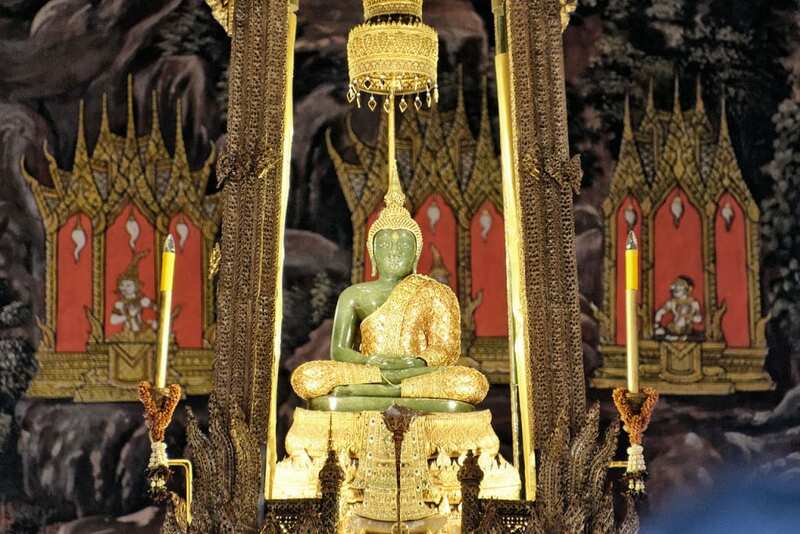 Numerous texts present a variety of historic and legendary explanations of the Emerald Buddha’s origins. One account describes the discovery of the Emerald Buddha in Chiang Rai, Thailand, in 1434 AD, after a lighting strike on the stucco wall of a chedi (a bell-shaped temple tower) exposed its hiding place. 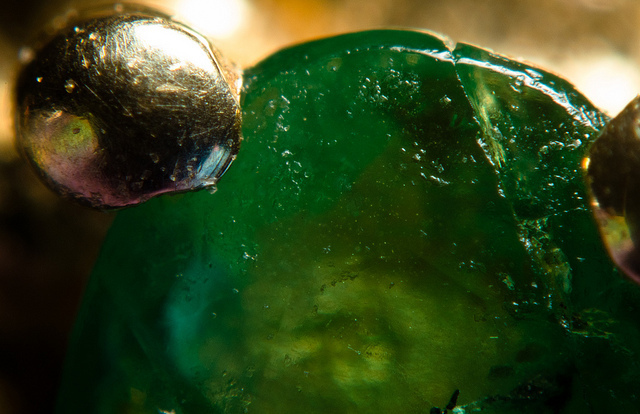 Despite its name, the Emerald Buddha is not made from emerald (nor jadeite or jade as has sometimes been reported) but from a form of jasper, a grayish-green ornamental gem material found in India and Africa. “Image of Emerald Buddha in Rainy Season Vestments” by JPSwimmer is licensed under CC By-SA 3.0. 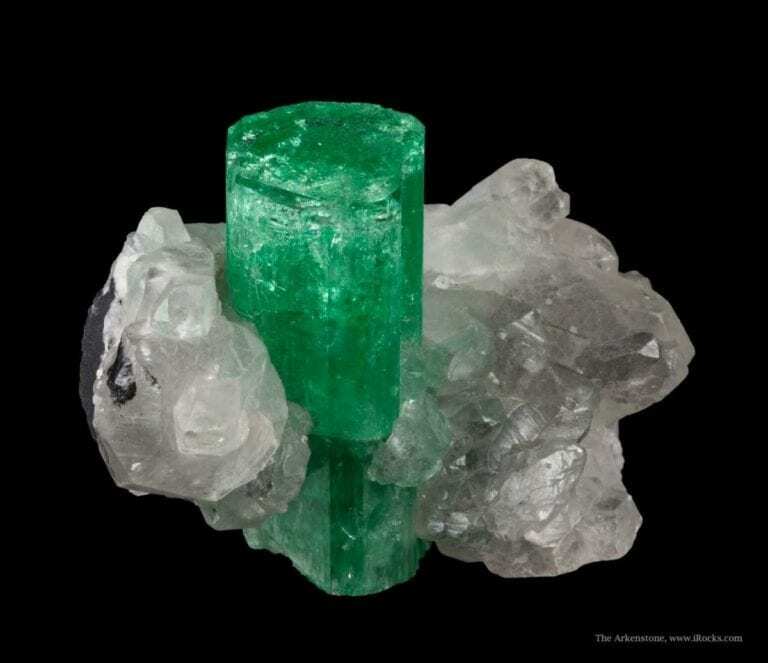 In 1994, a 3,600-carat (25.4 ounce) natural emerald crystal was discovered in Africa. The exact country of origin has been disputed (with possibilities ranging from Madagascar to Zambia). 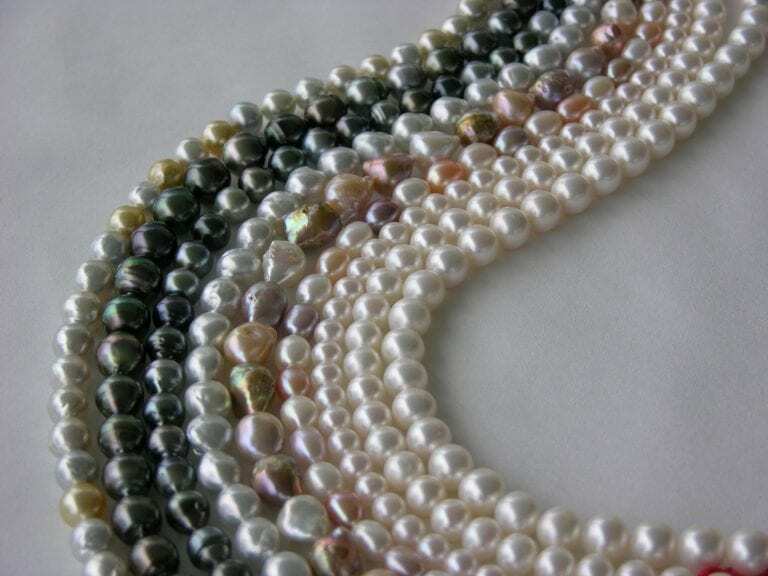 By September of that year, the large gemstone was exported to Thailand in search of a suitable buyer. Upon arrival, one astute gem dealer realized this was a very special crystal. He wanted to maximize its potential rather than breaking it up into smaller pieces as other competing dealers desired. After several months of intense negotiations, he finally won out. 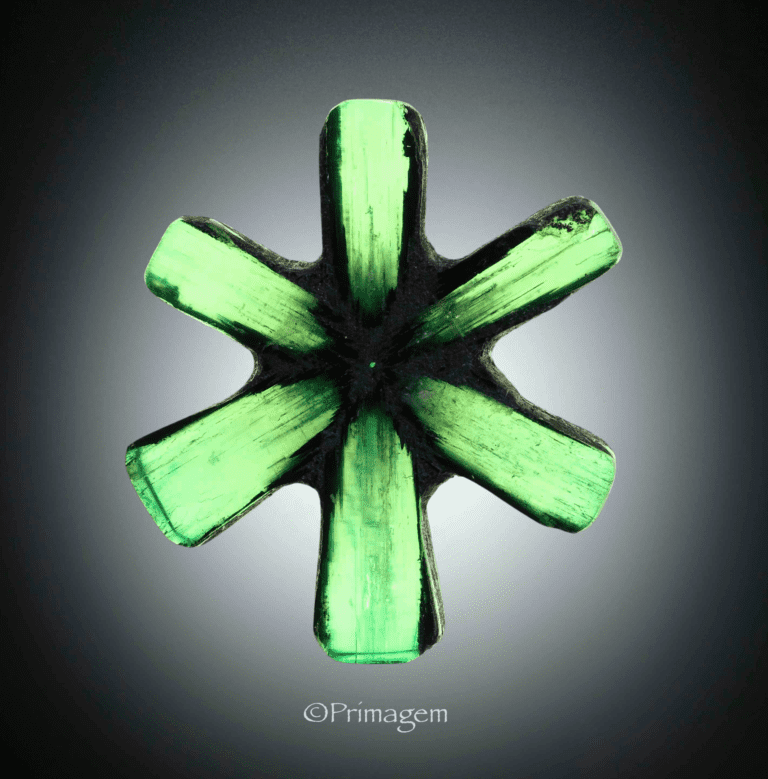 What followed was a quest for the best subject matter and design for this potentially world record-breaking emerald crystal. Many design ideas were considered. Ultimately, the shape of the crystal and the acknowledgement of the nation of Thailand as its final destination suggested a standing Buddha image. After extensive research into the history and art of Buddha images, the classic standing Buddha posture known in Thai as Harm Yhard was chosen. Traditionally, this was the Buddha’s admonition to his family members to stop quarrelling amongst themselves. The world suffered a great loss when Taliban extremists destroyed the giant standing Buddhas of Bamiyan, Afghanistan in 2001. 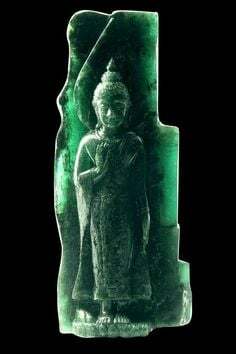 A standing Buddha image in pure emerald, a gem highly revered by the Islamic faith, seemed an appropriate replacement, especially with the theme of the Buddha’s message to “stop quarrelling amongst yourselves”! Seeking a suitable craftsman to carve a standing Buddha image in fragile emerald proved no easy task. 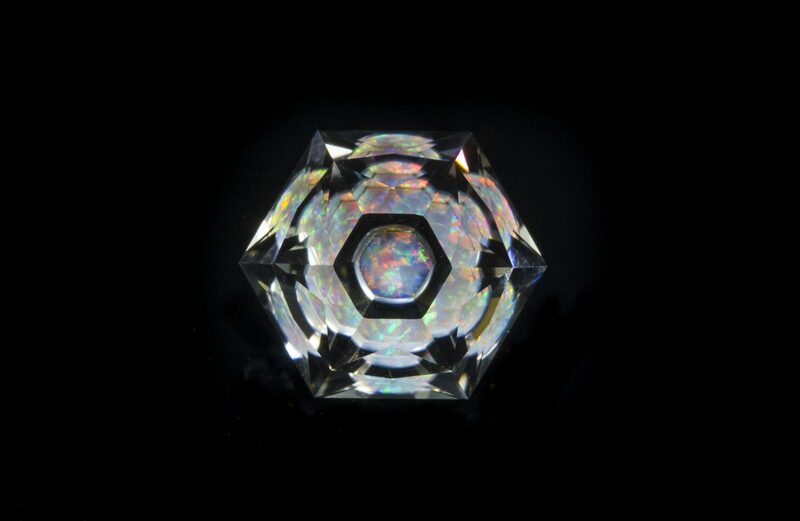 Europeans are considered the world’s best gemstone carvers but they lack experience with Buddhist subject matter. China and Burma have many fine jadeite Buddha carvers, but both locations present complicated security issues. In the end, the decision to locate an experienced jadeite Buddha carver in Thailand seemed the best solution. Jadeite carving factories were visited in Chanthaburi, Mae Sai, Chiang Mai, and Mae Sot. 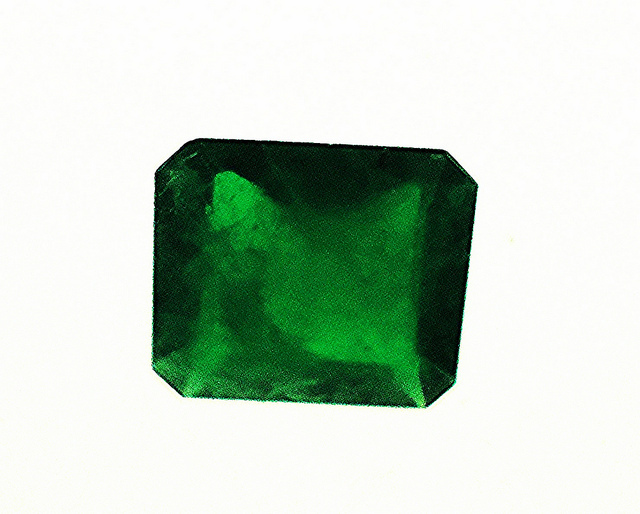 Eventually two were chosen to carve prototype images in jadeite and low-grade aquamarine (from the same gem family as emerald). Carver Aung Nyein, then 36-years old, was selected. Originally from Burma, Aung Nyein had lived in Mae Sot for 16 years. He had been carving Buddha images in jadeite for over 20 years and was considered a master in his community. 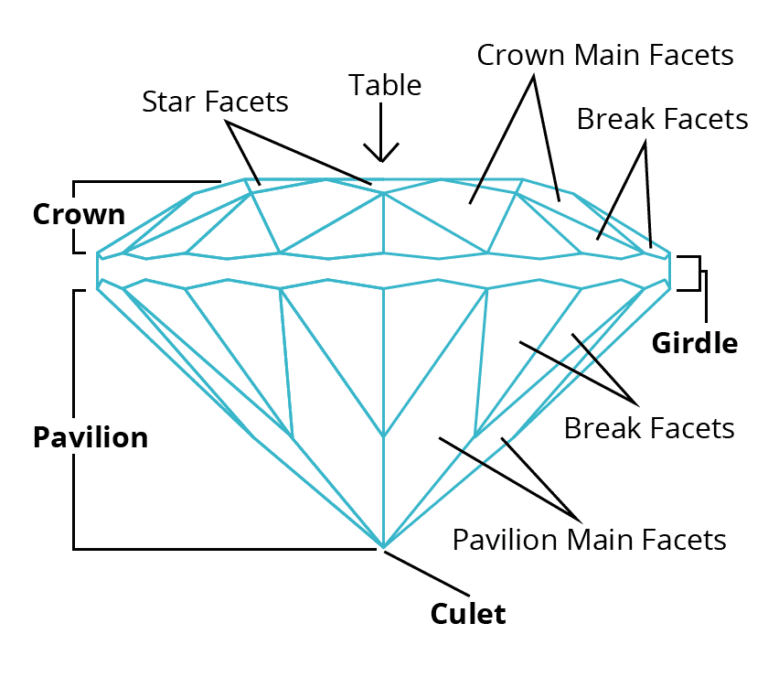 What followed were weeks of studying the crystal with high intensity lights, rulers, calipers, and a sketchpad. Finally satisfied with his plan, Aung began his work. Measure, mark, cut, grind, measure, mark, cut, grind. 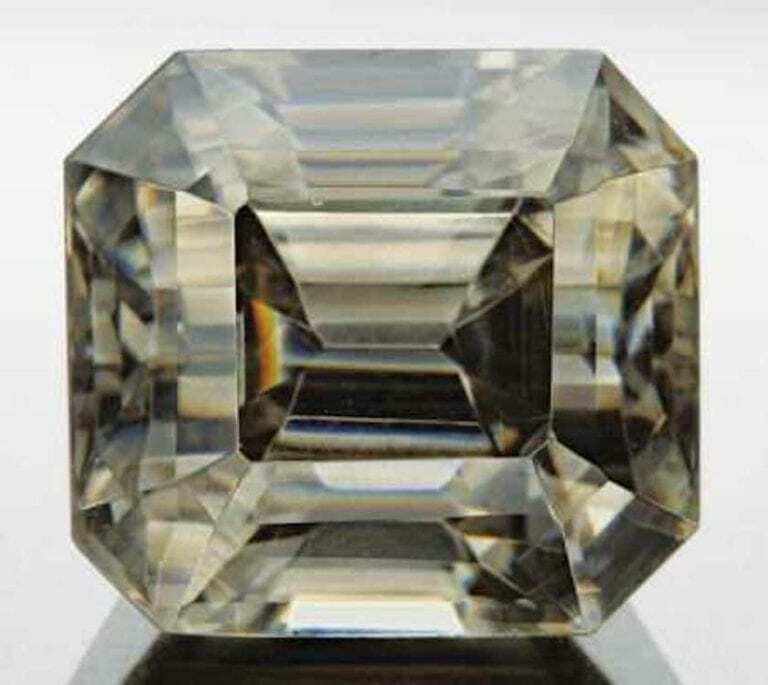 The process continued for over a week before a distinct Buddha image began to emerge from the depths of the green crystal. As the sculpting continued, ever smaller grinding bits were used, as the fine detail of the Buddha demanded. Polishing the entire piece required several more weeks. Aung moved from extra fine sand paper to medium diamond powder and, finally, to the finest of all diamond powder in order to obtain the high gloss finish on the Sacred Emerald Buddha’s surface. Late one afternoon in February 2006, Aung announced he was finished. We all celebrated with a fine bottle of imported brandy. 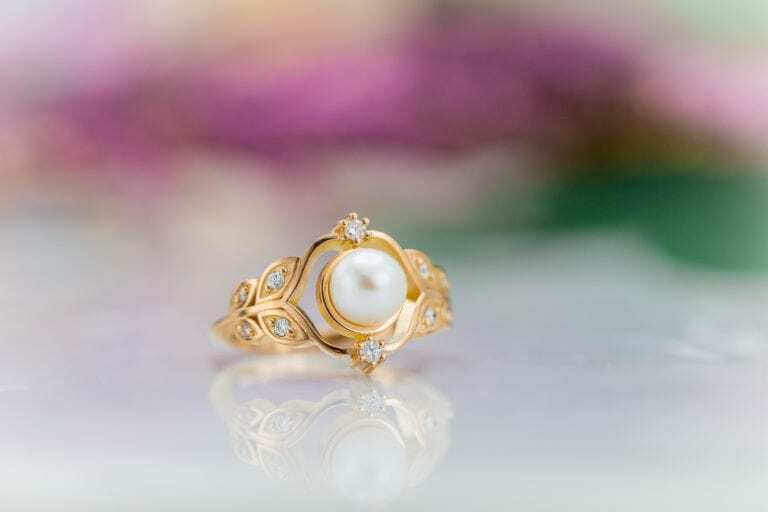 The last responsibility was independent gemological laboratory certification, which we secured through The Gem and Jewelry Institute of Thailand (GIT) and the GemResearch Swisslab AG (GRS). 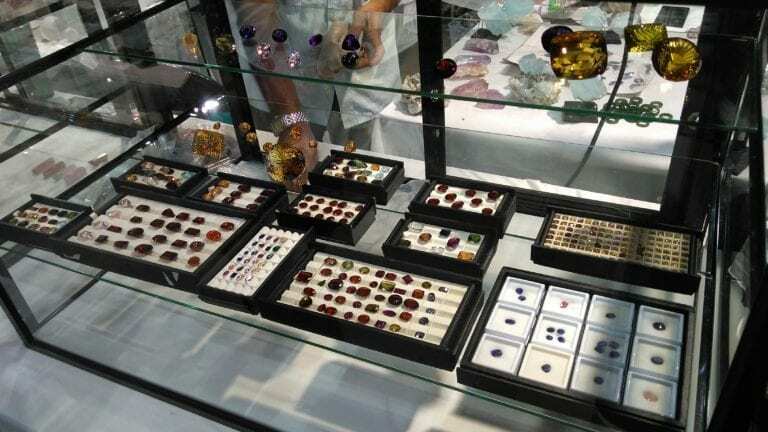 Jeffery Bergman, SSEF, SGC, founder and director of Primagem in Thailand, is an American gem dealer with more than 40 years of experience in gemstone and fine jewelry mining, cutting, wholesaling and retailing. His career has taken him to more than 50 countries and every continent except Antarctica. 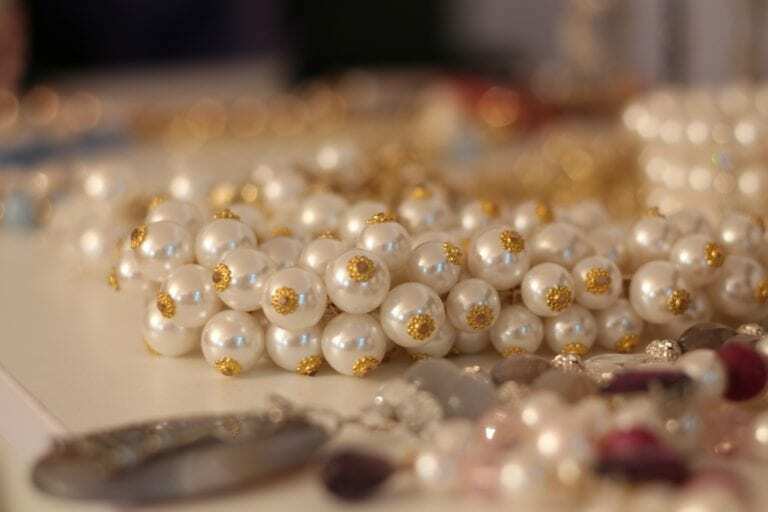 He has appeared on the BBC, CNN, NBC, ABC and GEO; and has been featured in Time, USA Today, National Geographic, Gems & Gemology and Discovery Channel magazine. 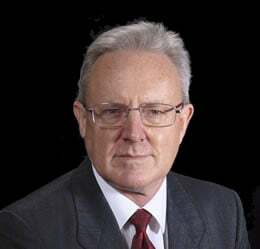 He is a regular guest speaker at gem lab seminars and gemological association conferences and universities. 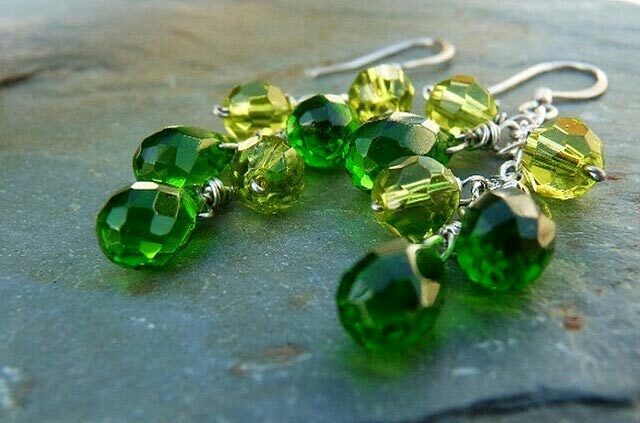 Do Emeralds and Peridots Look Good Together?